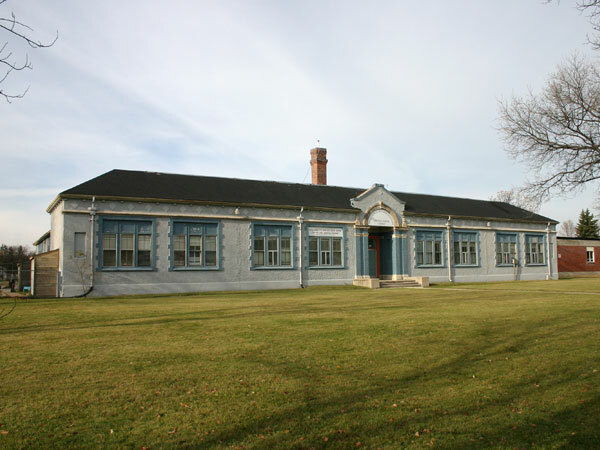 In 1921, a one-storey, brick school was constructed at this site by the Fort Garry School District No. 2047 (which also built and operated the General Byng School nearby), based on a design by local architects John Woodman and Arthur E. Cubbidge. Like its counterpart in northeast Winnipeg, the school commemorated soldier and policeman Sir Sam Benfield Steele. Initially a two-classroom structure, two additional classrooms were added in 1943. 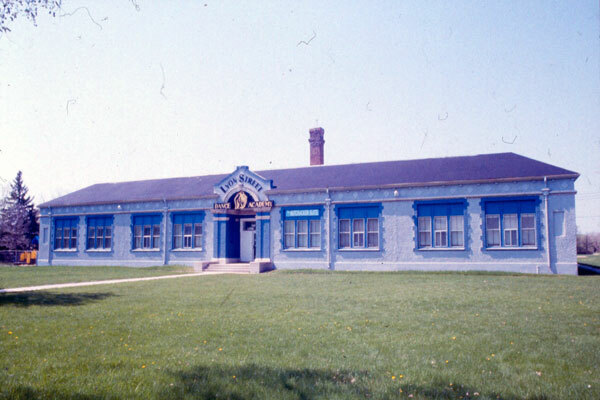 It was closed in 1957 and was converted into offices for the School District, which in 1959 became part of the Fort Garry Municipal School District No. 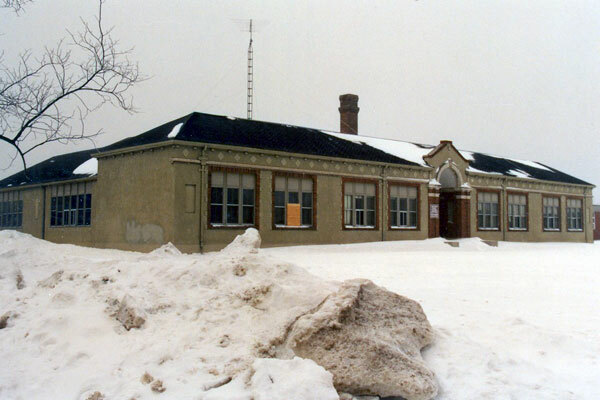 2361 and, later that year, the Fort Garry School Division. The building was later used as a dance studio, child care facility, and church. In 2005, it was removed from the City of Winnipeg’s inventory of historic buildings and, the following year, the structure was demolished to make way for a residential block. Muriel Hopkins, Miss O. MacDonald, ? “Fort Garry’s school system shows great development,” Winnipeg Tribune, 9 September 1922, page 5. “News from the suburbs,” Winnipeg Tribune, 1 September 1923, page 11. “News of the suburbs,” Winnipeg Tribune, 30 June 1928, page 6. “News of the suburbs,” Winnipeg Tribune, 31 August 1929, page 6. “News of the suburbs,” Winnipeg Tribune, 28 June 1930, page 16. “News of the suburbs,” Winnipeg Tribune, 1 September 1934, page 23. “News of the suburbs,” Winnipeg Tribune, 29 August 1936, page 34. “Fort Garry notes,” Winnipeg Free Press, 2 September 1939, page 4. “Fort Garry schools name teaching staffs,” Winnipeg Tribune, 4 September 1939, page 23. “Open house set at Fort Garry's new high school,” Winnipeg Free Press, 24 August 1949, page 3. The Year Past 2005, Annual Report of the City of Winnipeg Historical Buildings Committee, City of Winnipeg, page 22. We thank Murray Peterson and Nathan Kramer for providing additional information used here.